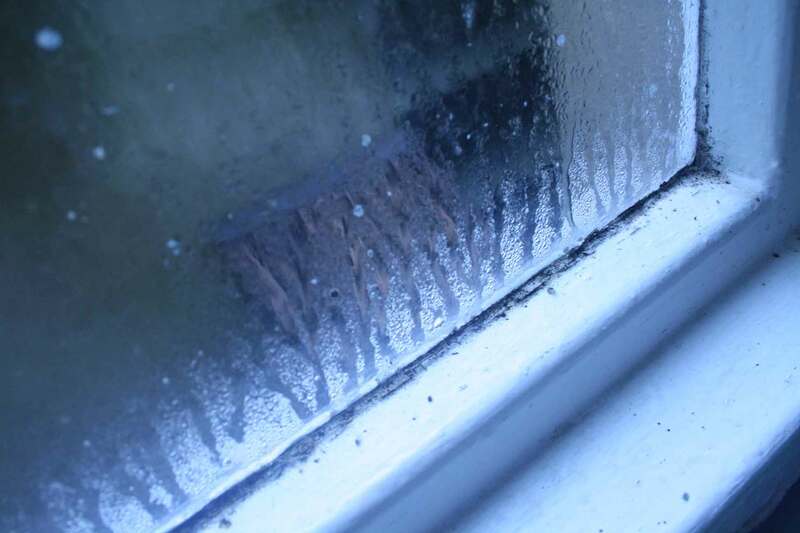 Everyone has heard the term condensation and most of us have experienced it in our homes or work place at some time. Condensation is not a new problem but our lifestyles today have changed and the problem has escalated. In the past we had open fires, draughty rooms, no fitted carpet and usually single glazing. Consequently our homes were colder and naturally ventilated. In current times most homes have central heating, double glazing and fitted carpets. Occupants are often out all day, returning in the evenings to a cold house, switching on the heating and causing large fluctuations in the temperature of the property. The external walls and windows are cold, the air inside is warmed and much moisture is created by the occupants washing, bathing, drying clothes, cooking etc. The moisture is usually suspended in the warm air but when the heating goes off the house quickly cools down and moisture in the air condenses on the coldest surfaces available. Source of infection is always available and the moulds have a wide tolerance of temperature 0-60°C and aeration levels always provide sufficient oxygen. Food requirements are minimal and are satisfied by normal levels of dust and deposits found even in the cleanest homes. 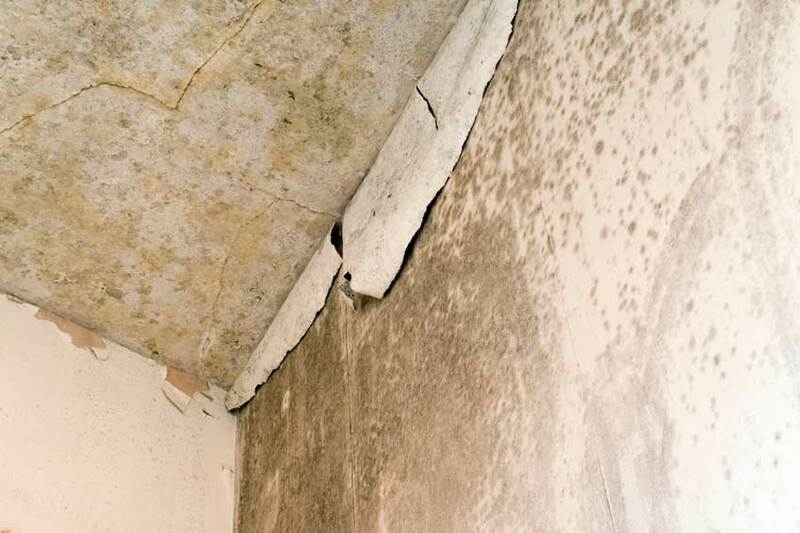 The susceptibility of materials in a dwelling to mould depends mainly on the moisture content. Different materials within a building adopt different equilibrium moisture contents under the same conditions of relative humidity. Individual species of fungi (mould) have different tolerances of different moisture contents. Consequently there are always some moulds available that will grow in a building if the moisture levels are too high. Ventilate – It is essential to have air movement and in extreme cases extraction of overly moist air is necessary. We have several different types of ventilation systems for all kinds of situations. 1. Ventilate the room by opening doors and windows to encourage drying and disperse high concentration of spores which may exist. 3. Dampen the growths with a 4:1 domestic bleach in water with a small amount of washing up liquid. Once dry, these walls should now be treated with a fungicidal wash such as Mould wash concentrate. The surfaces should now be left to dry out and kept under observation for a week or two as convenient. The walls can now be painted and we would suggest an anti-mould paint which will resist fungal infection for up to 5 years. 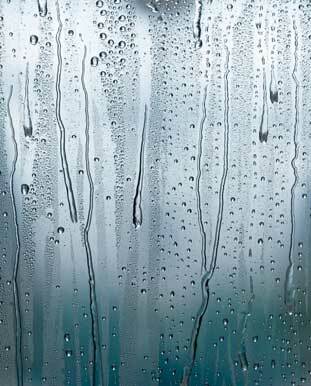 For further advice or to purchase products to deal with your condensation problem please call: 01509 216323.